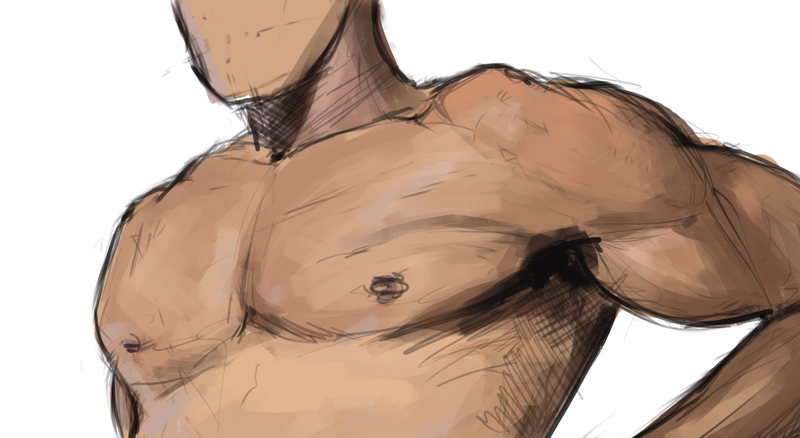 janet's art journey: Anatomy week (day 3) - muscles! So day 3 has come and passed (technically 4th again), not much to say here, been looking at muscles and most of my time I spent on the skeleton. I guess it's good to do muscles over skeleton because it's sort of self-correcting, like I made the pelvis a little too wide for an average man so I when I put muscles on top of it it just looked very strange. Easy to correct the bigger mistakes like that.